First published in 1865, this reprint is of second enlarged edition of 1870. Prendergast's research reveals his keen eye for evidence, but he was a man of his times. Significantly his prejudices did not blind him and he lets his sources speak for themselves. The legacy of Oliver Cromwell is still haunts the Irish imagination. His alleged directive to the Catholic Irish to get "to Hell or Connaught", and the policy that drove it, altered the ownership of Irish soil.The Parliamentary forces' civil war against Charles I were enmeshed in a ruthless campaign against popery and the Catholic perpetrators of the assault on the Protestant colonists of 1641. The legacy of sectarianism has marred Irish politics to this day. This classic and well-loved history of Sligo was first published in 1889. The present edition has been reformatted using a pleasing modern searchable text, retaining the original illustrations. Also, new notes have been added. Its author, the Rev. Archdeacon Terrence O’Rorke, was born and bred in Sligo, This important history is, of course, a product of his times and situation, however, it remains a work of fascination for anyone with connections to Sligo’s past and its people, and - because of the importance of the events played out in that county – an important reference for anyone interested in the history of Ireland. By Margaret Bell and Sean O'Halloran. The folk song of 'The Ould Lammas Fair of Ballycastle O' is a celebration of one of the oldest and most popular fairs in Ireland with the power to draw visitors from far and wide. It is full of history; its roots going back to the ancient festival of Lunasa in times when gods of light and fertility were celebrated. This booklet, an updated publication of the original written in the 1966 with a new introduction, retraces much of what is known and some of what can only be guessed at about the origin and development of this truly traditional event. 'Maghtochair' was the pseudonym of Michael Harkin who compiled a series of articles published in 1867. His aim was to record and preserve the fast vanishing traditions of this well loved peninsula before the old social order and the Gaelic language disappeared. The book sweeps through Inishowen’s ancient, medieval and modern history; its mythical past as well as its topography and archaeology. following St. Patrick, the archaeology is of ancient round towers, chapels, churches and monasteries. Edited and modernised with scholarly footnotes added. A German travel's perception of an Ireland that was about to vanish. 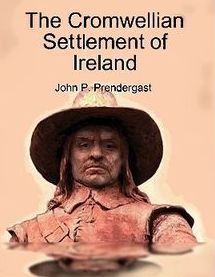 Two years after the publication of this book, the Great Irish Famine ravaged the land. Kohl's journey took him through the four provinces and the cities of Dublin, Limerick, Waterford and Belfast. He met Daniel O'Connell and the great temperance campaigner, Father Mathew. He talked to beggars, gentry and men of religion, visiting a range of diverse places, conscious of poverty and social injustices. His commentaries are enlivened with information about the historic context and folklore associated with the locations he visited. Now you can own quality digitised versions of some of the great antiquarian books on Ireland. Up to now most free downloadable versions have missing pages, ugly blotches and are difficult to search. Versions which have been converted to searchable text usually appear as garbled gobbledygook and are often worse than useless when it comes to word rsearch. Clachan Publishing is in the process of changing all that. Using EPUB, we are reproducing some of the great antiquarian books on Ireland as quality e-books, which are fully downloadable and can be accessed on an ever-growing number of eReader and handheld devices, like the iPad, iPhone, Barnes & Noble’s NOOK, Android tablets, and the home computer. They have been carefully edited, using pleasing modern formats and additional notes have been added - perfect for the researcher and those interested in Irish history and genealogy. Yes, free versions of these books are available, but we promise you will find the few pounds paid for our quality publications are worth every penny.